What Can the NBA Learn from Barefoot Running? When I got my first pair of Nike Shox, I thought this was it: I was finally going to be able to dunk. Now, I was not stupid—or at least not as stupid as I might initially sound. As a 5’10” guy, I knew it would be difficult, but I wasn’t trying to throw down windmills; I was only hoping for what you might call the “Rimgrazer” package in NBA 2K12. This was going to mean lots of work, but some deeply flawed part of my brain—the same part that in fifth grade thought my designs for new Transformers could actually get made—thought that Shox technology was the little boost I would finally need to throw one down. So every other day for at least a month I went to the YMCA and did self-invented drills that would always culminate in a bunch of runs at the hoop. But I never got higher that touching the bottom of the backboard. I doubt my vertical improved by more than an inch. Then other things came up and I wasn’t making it to the gym regularly for dunk practice. In fact, it was months before I showed up at the YMCA again, only to find out that the lock had been cut off my locker and my basketball and Nike Shox resigned to the lost and found, where they were quickly swiped. It was probably for the best—as The Terminator taught us, technology designed to help can often end up hurting. For example, in addition to my inability to dunk, I have tremendously fragile ankles, susceptible to rolling and spraining at the slightest touch. As such, the very idea of playing basketball in anything other than high tops was inconceivable to me. I would watch footage of players like Wilt Chamberlain and Bob Cousy playing in Chuck Taylors or other canvas or lightweight shoes and cringe. How could their ankles not be breaking clean off all the time? But what if they were onto something? The recent rise of barefoot or minimal running as a movement has coincided with an awful lot of ACL and knee injuries in the NBA, and one of the purported benefits of minimal running is decreased stress on the knees. Could basketball players today benefit from going back to simpler shoes and retraining their form? Jay Dicharry, the Director of the SPEED Performance Clinic and the Motion Analysis Lab Coordinator at the University of Virginia, thinks it’s at least possible (here’s a video with Dicharry going over a self-assessment test for minimal running). “If I ask you to tie your shoes, it’s a simple thing, right?” he says when I reach him by phone. “But what if I coated your hands in marshmallows and asked you to tie your shoes?” Your feet need input stimulation to perform at their best, and when you wrap them in layers of foam and cushioning, your feet don’t get that feedback. Not to mention, he adds, that there is exactly zero peer-reviewed research that shows that high top shoes reduce injuries. You can see that they’re mostly keeping their legs under them. Their knees stay bent, their center of gravity is low. I’m no expert on biomechanics, but Dicharry confirmed my observation, saying that basketball is more a game of being able to change direction quickly, not straight-line speed. Keeping your legs under you is the best way to stay in control of your body. And staying in control of your body is something that has more to do with how you understand your body in space than what shoes you wear. 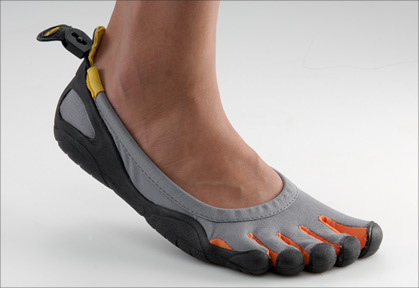 It’s not as if switching everyone in the NBA to Vibram 5-finger shoes would result in fewer injuries. Dicharry says he’s not even overly concerned about whether a runner has a forefoot or midfoot strike as opposed to a heel strike when he’s looking at their mechanics. Becoming a better runner is about developing a better understanding of one’s body, also known as proprioception. Blame for this season’s rash of knee injuries was quick to be placed on the shortened season. Kevin Pelton and Mike Pescalooked at ACL injuries over at Basketball Prospectus and concluded that while the shortened season might not be directly to blame, there does seem to be a correlation between fatigue and ACL injuries that may be partly related to a breakdown of proprioception more than physical fatigue. Whether it involves training athletes to move more conservatively (as Dicharry pointed out in a great turn of phrase, “You can’t fire a cannon from a canoe”) or training them to react more quickly to unexpected stimuli, the bottom line is that the answer lies not with improved equipment but with a better understanding within the athlete of what he or she is capable of. 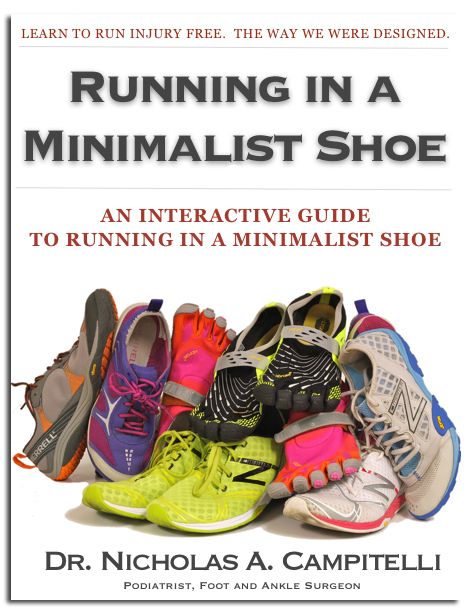 There are, after all, as many people ready to call barefoot or minimal running into question as to herald it. 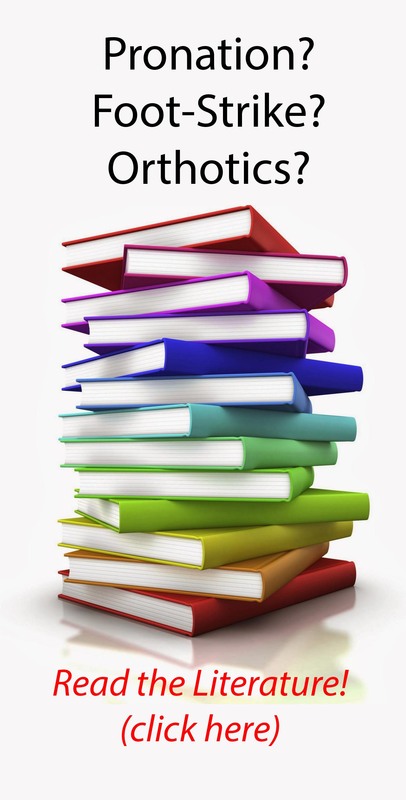 People will always seek the magical solution, whether it be Nike Shox or Reebok Pumps or minimal running shoes, rather than taking the time to learn something through repetition and training. With teams in the NBA increasingly embracing advanced stats, it should be no surprise when they begin to focus training on neuromuscular education programs designed to help players learn to not only move faster, but smarter. It will take more than just issuing every player a pair of Chucks. After all, the classic Converse sneakers aren’t immune to fantastical breakthrough technical innovations. When Charles Taylor started selling them for Converse in 1921 he incorporated some design improvements. That little badge that bears the star and his name? It’s supposed to provide ankle support.